Stories surrounding the connection between American presidents, the federal government, and extraterrestrial activity on home soil have abounded for decades. Some say Area 51 is a real place being kept secret by the government. Others claim the "President's Book" is indeed real, and contains proof of alien life on Earth. Many presidents have promised to open all of these alleged files and finally tell the American people the truth about UFOs. However, none have revealed any such proof. Hillary Clinton — current Democratic presidential candidate and wife of former president Bill Clinton — has vowed to "get to the bottom" of all the UFO talk. Clinton appeared on the March 24 episode of Jimmy Kimmel Live to discuss many aspects of her campaign, and, just as he did to her husband, Kimmel asked her about the UFO files. "When we had your husband, President Clinton, on the show, I asked him about UFOs and Area 51, and if he looked into it," Kimmel said. "Because, if I was president, that's the first thing I'd do. I'd go right into those files and see what was going on. He said he did do that and that he didn't find anything." Clinton's response made it seem like she wasn't sure if her husband was being truthful when he told Kimmel he didn't find anything in the files. "Well," she said, with a slightly doubtful look in her eyes. "I'm going to do it again." In January, during a campaign stop in New Hampshire, Clinton told Daymond Steer of the Conway Daily Sun newspaper she believes extraterrestrials may have visited the Earth already. "We don't know for sure," she told the reporter. 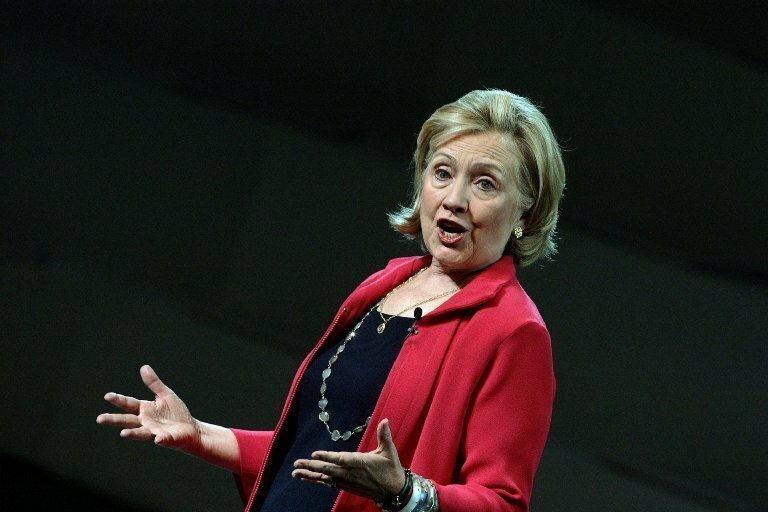 Many presidents have supposedly looked for the secret files that will prove there is life on other planets, but Hillary Clinton may be the first presidential contender to make a statement confirming a belief in aliens. "I would like us to go into those files and hopefully make as much of that public as possible," Clinton continued on Kimmel's show. "If there's nothing there, let's tell people there's nothing there. If there is something there, unless it's a threat to national security, I think we should share it with the public." Clinton could be totally serious, or just looking for votes from the curious folks interested in the possibility of UFOs. And if elected, she may get access to the same files that her husband allegedly looked at, and find out for herself that there really is no evidence. But what if Clinton pursues the subject more than any POTUS in the past, and actually finds proof of Area 51, aliens who have visited our planet, or extraterrestrials living among us? Kelly Roncace is an experienced paranormal investigator with many years of investigating under her ghost hunting belt. Do you know of a haunted location that Kelly and her team could research and investigate? Contact Kelly atkroncace@njadvancemedia.com and follow her on Twitter @KellyRoncace with your suggestions.